Eastern cultural traditions, including traditional Chinese medicine and Ayurveda, have valued turmeric not only for its warm, peppery flavour but its potent medicinal properties for more than 4,000 years. In particular, Indian recipes rely on turmeric as the key ingredient of numerous dishes and meals…though not only for the nutritional substance but to help with ailments, pain, and prevention of sickness. India has long revered turmeric as a “holy powder,” and has used it for centuries to treat wounds, infections, and other health problems. Modern research is now confirming many of its folklore claims, finding an astonishing array of antioxidant, anti-cancer, antibiotic, antiviral, and other properties. 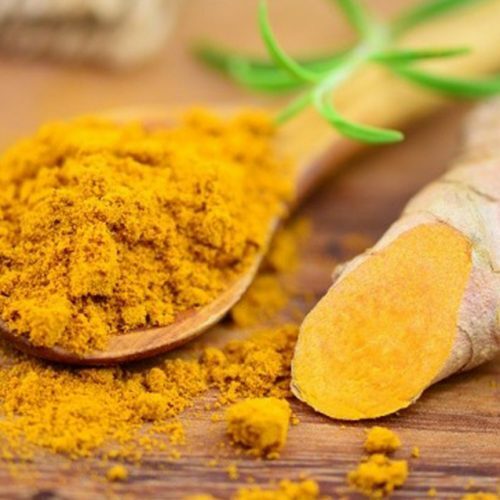 Research shows that turmeric has potent anti-inflammatory and antioxidant properties found in one of the key substances of the root – called curcumin. The compound has been shown to influence hundreds of genes, and it can inhibit both the activity and the synthesis of cyclooxygenase-2 (COX2) and 5-lipooxygenase (5-LOX), as well as other enzymes that have been implicated in inflammation. Inflammation is a normal and beneficial process that occurs when your body’s white blood cells and chemicals protect you from foreign invaders like bacteria and viruses. Inflammatory processes also cause irritation to tissues characterised by pain, redness, swelling, and heat, such as is often experienced by osteoarthritis patients. You need some level of inflammation in your body to stay healthy. However, it’s also possible, and increasingly common, for the inflammatory response to get out of hand. If left untreated, inflammation can become a chronic health issue – leading to excess inflammation in your body, a condition linked to asthma, allergies, autoimmune disease, heart disease, cancer and other diseases, depending on which organs the inflammation is impacting. Many patients would turn to non-steroidal anti-inflammatories (NSAIDs) and analgesics from over the counter at chemists for pain relief. But the regular, chronic use of these types of medications is associated with significant, and very serious, side effects such as cardiovascular problems, gastrointestinal harm and kidney and/or liver damage.